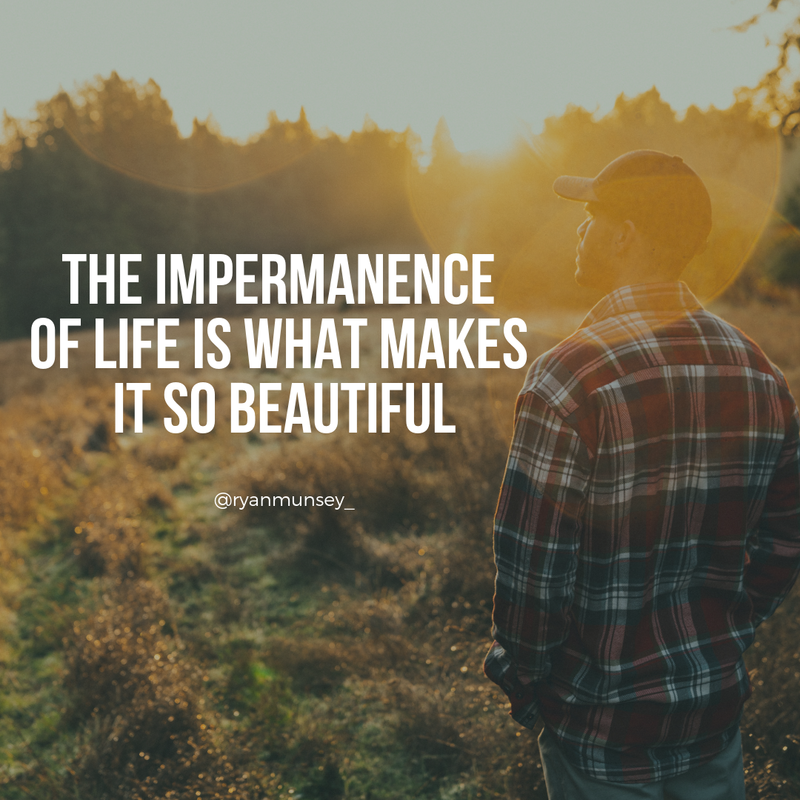 The impermanence of life is what makes it all so beautiful. I walked through the woods during a recent ice storm, marveling at the crystalline formations encasing every inch of available branch, transforming the forest into a sparkling wonderland. It was magic. As morning turned to afternoon, ice shifted to rain and temperatures rose above freezing, I realized none of this would be here when my wife came home from work. I returned to the woods snapping photo after photo, capturing as much of the scenery as I could, when it hit me – if it always looked like this, it wouldn’t be nearly as fascinating. It’s the transitory nature of these moments that makes them so captivating. If the autumn colors remained for 52 weeks instead of five, would we appreciate them as much? If spring, or Christmas came but never went, we would have nothing to anticipate. It’s not just our own mortality that makes life so beautiful, but the fleeting existence of everything we see, hear, feel, touch and know. What can you appreciate a little more than usual today?